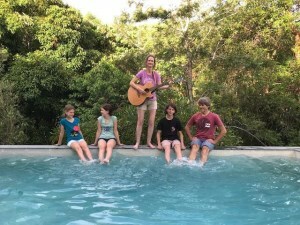 Brief Blurb: Karen Law and Family are the epitome of honest, home-grown contemporary folk music. Award-winning songs, breath-taking harmonies and an obvious joy in singing and playing together make this family an absolute pleasure to watch. Expect a healthy dose of family banter too and the chance to join in on a few choruses.